We offer a wide range of products related to natural stone fabrication at Detroit Stone. 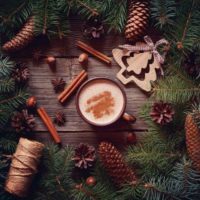 From kitchen countertops, to vanity tops, jacuzzi and fireplace surrounds, to full wall and floor paneling. 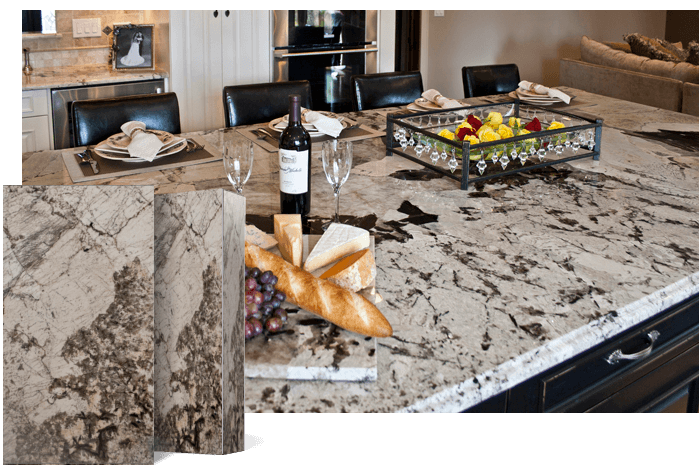 Beautiful Granite Countertops Your Home Will Thank You For! 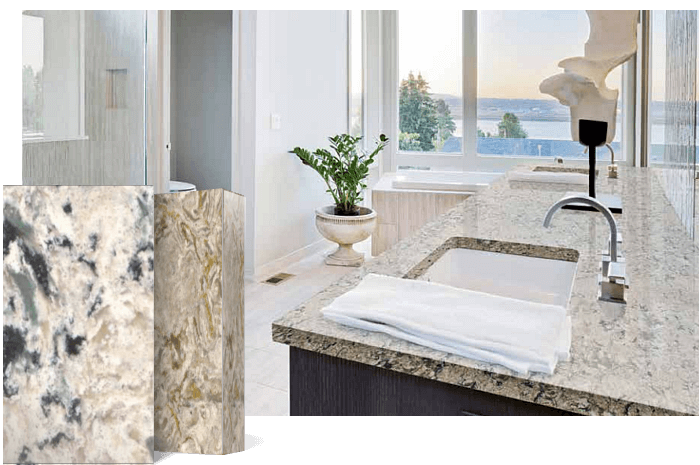 Granite is one of the most popular materials when it comes to kitchen and bath projects. Granite is a counstruction material. It is both practical and a safe investment (due to the equity added to your home). Quartz is perfect for a modern or traditional kitchen! Did you know that quartz is a man-made stone? That’s an amazing fact! This doesn’t mean that quarts quartz is 100% synthetic. Quartz is actually a natural mineral. It’s design is unique and amazingly elegant. 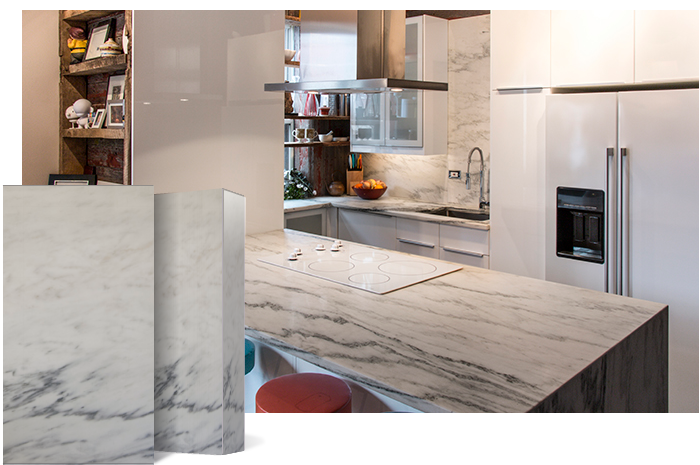 Marble is a great choice for elegant and fancy decorated kitchens or bathrooms. Therefore, the effect of decorating a kitchen with a marble countertop and floor is undeniably beautiful. It is a durable material. But only if you treat it with care. You could find marble in everyone’s kitchen or bathroom! Stores such as Home Depot or Lowes are only a middle man when it comes to countertops and tile. They subcontract all of their countertop fabrication and installation services, which makes them way over priced compared to buying directly from your local countertop & tile store. Bring us any Lowes or Home Depot granite quote and we’ll beat it by far! IT’S A GUARANTEE! Free Project Quote! Fill out the form to request a free quote. We will contact you within 24hrs to discuss your upcoming project. We import our own granite and marble slabs directly, from countries such as Brazil, Italy and India. Therefore, this allows us to cut material costs and pass the savings off to our customers. Since granite is a natural stone, shades and patterns vary from lot to lot. This is why we store the material in our own 15,000 square foot warehouse in Shelby Township, Michigan. So you to see and select your own unique sheet of stone! Also, you can find more about Detroit Stone Company on Facebook.